Shocking results from recent research show that smokers are four times more likely to develop age-related macular degeneration than non-smokers. In fact smoking is the leading cause of blindness in the US. If you are a smoker, you may want to put your head in the sand or press the back arrow on the computer keyboard, but the harsh truth remains. Until recently age-related macular degeneration was something most Americans had never even heard of. They certainly did not feel the need to take active measures against it. Unfortunately for 10 million Americans, age-related macular degeneration is something they now have to live with. It is a sobering statistic, as this is one of the main causes of blindness, particularly in the older generation. Baby boomers and people over 65 need to find out the facts; if necessary stop smoking, and get regular eye examinations. The macula is the very middle of the retina, which is right at the back of the eye. The retina sends the picture from the eye to the brain, and when the macula breaks down, things start to get a little fuzzy. Age-related Macular Degeneration is a disease that gradually destroys the sharp central vision that you need to focus clearly. Activities like driving, reading and even recognizing faces all become a problem for those suffering with this disease. Unfortunately we all fall into this category, as age is the biggest risk factor for developing this disease. It usually strikes in the over 50s, and for the over 75s the risk of having the disease to some degree is 15%. That is an uncomfortably high figure, but smokers are four times more likely to get the disease. It is not yet clear why this link should be so pronounced, but eyesight is too precious to gamble with. The message is clear. If you smoke, now is a good time to stop and get regular eye exams. In the same study, it was found that the disease is more common in white people than in African-Americans. It is never too late to make a change, and former smokers were found to be more likely to develop age-related macular degeneration than non-smokers, but the risks were reduced. 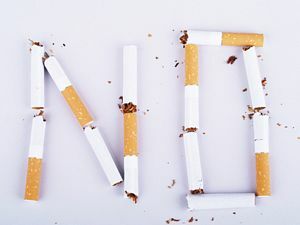 Ex-smokers were found to be three times more likely to develop the disease, but coupled with the lower risk of cancer, all the added benefits of stopping smoking add up to a big plus overall. What Treatment is Available for Age-related Macular Degeneration? Currently there is no cure for this disease. However, the advantage of having eye exams and spotting this disease early is that new treatment can slow the vision loss considerably. The pill brand named OcuvitePreserVision has been found to be an effective treatment for this disease. An eye examination can spot the onset of age-related Macular Degeneration before any vision loss has been noticed. Regular eye exams for the over 40s are recommended by the American Medical Association and should include a detailed retina exam. If age-related macular degeneration is detected, it is even more important to go for regular eye checks. Can Age-Related Macular Degeneration be Prevented? Until we understand more about this disease it is impossible to prevent it. Stopping smoking reduces the risk considerably. A new study found that women who took a combination of B6 and B12 vitamins along with folic acid had a 34% lower risk of developing this disease than those given a placebo. Meanwhile, research continues to find a cure for this debilitating disease.